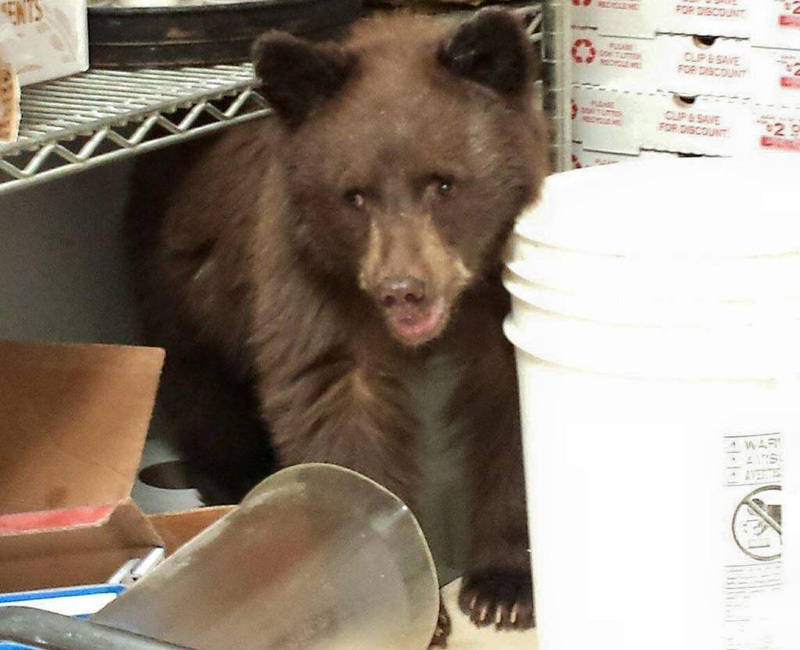 Hungry Bear Cub Breaks Into Pizza Joint, Eats "All The Icing"
This week, a hungry little bear cub snuck into a Colorado Springs pizza parlor, climbing shelves and eating icing and oil before finally taking a nap, NBC News reports. 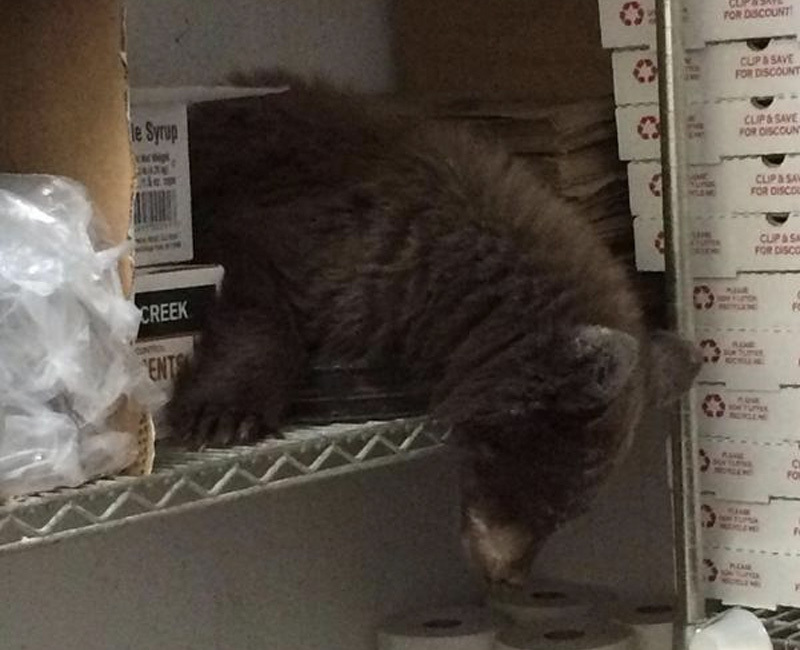 The animal entered through an open door, walked past the restrooms and found its way into the pizzeria’s prep room. There he ate some icing used in Louie’s cini-bread and curled up on the second shelf of a storage rack. One of the employees, Sawyer Janney, said he was startled when all the commotion began, not by the bear but by a co-worker. “He just yells ‘bear’ and runs outside,” Janney said. 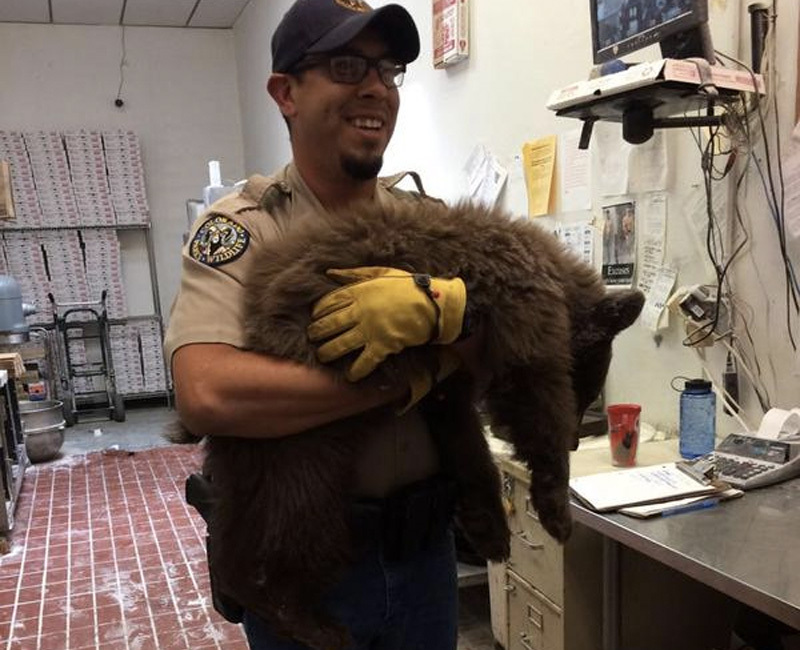 By the time wildlife officers arrived, the hungry bear had become a sleepy bear. Officials with Colorado Parks and Wildlife say the underweight bear cub will be taken to a rehabilitation facility for recovery and then released into the wild.